We are all connected by our oceans. Australia is surrounded by breathtaking coastlines and oceans that are home to a magnificent array of marine wildlife. Not only that, but our seas give us life. They provide oxygen and food, and allow us to explore an underwater world of natural beauty. But all of that is increasingly under threat. Climate change is draining the colour from Australia’s most treasured natural wonder - the Great Barrier Reef. Plastic is littering our coasts and polluting our oceans. Unsustainable fishing practices are pushing vulnerable wildlife to the brink. Australian marine parks continue to have their protection downgraded. WWF-Australia is committed to protecting our oceans so that future generations can continue to enjoy nature’s beauty. You can help protect our oceans by reducing your use of plastics, supporting our campaigns to remove deadly gill nets from the northern Great Barrier Reef and helping to rebuild our marine protected areas. Together, we can make a positive change for our oceans. Help create one of the largest havens for Australia’s dugongs and marine wildlife in the northern Great Barrier Reef. Australia’s oceans contain some of the richest, most diverse life on Earth. That’s why marine conservation in these areas have never been so important. Dive into some of our amazing underwater stories from the field. 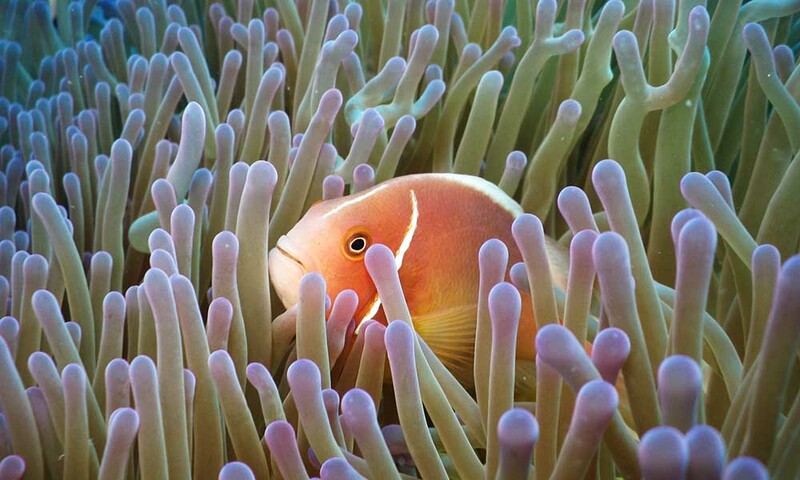 Life began in our oceans and these aquatic wonderlands still remain the cornerstone of life on Earth today. They are fundamental in sustaining our everyday lives, which is why now, more than ever, the protection of marine environments is imperative. Our island continent borders three mighty oceans - the Pacific, the Indian, and the Southern - and includes the world’s third largest marine territory. With around 85% of Australians living within 50 kilometres of the coast, it’s fair to say that oceans are part of who we are, but so often we take them for granted. The world’s oceans are home to some of the most diverse life on Earth – from the largest animal that has ever lived, to the smallest bacteria. They’re home to spectacular animals like turtles, whales, dugongs, sharks and more! And that’s only those species that have been identified. Oceanographers believe we know less about our oceans than we do about the moon. Nearly three billion people across the world rely on fish as their major source of protein. Our oceans also deliver more than half the oxygen we breathe, and support countless livelihoods who depend upon their riches. Not only that, but our oceans help to regulate the world’s climate by trapping heat. More than 69,000 people derive employment from a healthy Great Barrier Reef – and that’s just the beginning. Over nine million people visit Australia each year, many giving a boost to Australia’s tourism industry. The fishing industry is overfishing and our precious marine resources are being unsustainably and poorly managed. Climate change is harming our oceans, contributing to a rise in sea levels and a major cause of coral bleaching. Marine pollution is threatening some of our most fragile habitats and endangered species. Endless kilometres of nets trawling our oceans are proving deadly to our marine life. Australia’s marine ecosystem faces myriad threats. These threats include global warming, overfishing, industrial coastal developments and pollution. If we can’t halt and reverse the unsustainable demands on our oceans, then our long-term well-being and prosperity are also threatened. As marine ecosystems decline, meeting the needs of a growing human population will become an even greater challenge. On the Great Barrier Reef, farm pollution run-off is causing ocean acidification and contributing to extreme outbreaks of coral-eating crown of thorns starfish. This is making the Reef more susceptible to coral bleaching of the kind that occurred in the back-to-back events of 2016 and 2017. 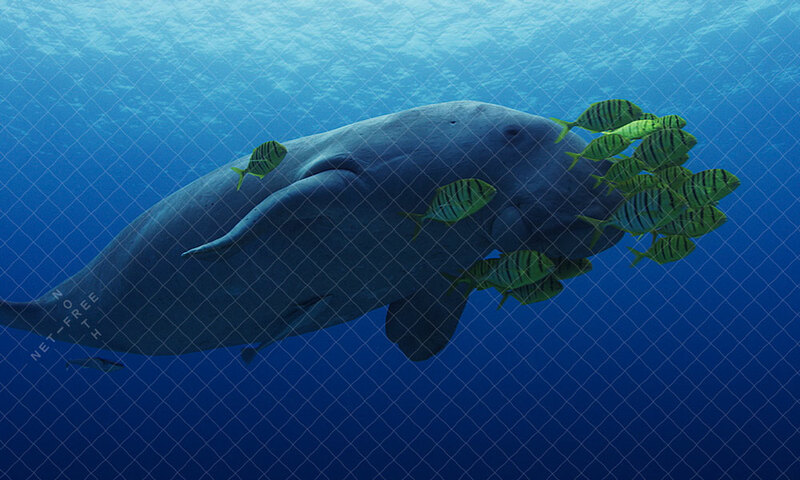 Commercial gill nets on the northern Great Barrier Reef are putting one of the world’s largest populations of dugongs, as well as other vulnerable marine wildlife, in danger. These deadly nets entangle vulnerable animals and often, by the time they’re spotted, it’s too late. The Coral Sea is facing the largest protected area downgrading in the world. These cuts will expose an already susceptible marine ecosystem to large-scale industrial fishing and trawling – affecting the health of the Coral Sea and its neighbouring Great Barrier Reef. In the Kimberley, areas never before protected are finally being considered for marine parks, but zonings and boundaries are questionable. The Coral Triangle and the 120 million people living there are at risk from overfishing and unsustainable resource use. In Antarctica, our delay in tackling dangerous climate change is threatening this wilderness stronghold. It’s a crucial feeding ground for many species of whale, however growing pressure from industrial krill fishing is putting them in jeopardy. The pace of change in the ocean tells us there’s no time to waste. These changes are happening in our lifetime. We can and we must correct course now.